Do you sometimes find yourself doing certain “old person” things? Whether you are young, young at heart, and/or in fact above the age of 65, there may be a number of things you own or do that are stereotypically seen as being done by the elderly. Is classical music your preferred genre? Do you covet comfortable shoes, both at home and outdoor? Does reading a good book in bed (or a cosy chair) with herbal tea and biscuits sound like an ideal night in for you? Do you tend to rant about how the state of the English language is declining thanks to today’s “trendy” youth? Do you enjoy taking baths more than showers, and own a private collection of salts, bombs and candles? Does the purchase of a new household appliance strike you as exciting? If you are a woman, do you wear pearls and flower-scented lotions? If you answer yes to any, or all, of the above, you may be an old person (or old person in a young person’s body). Let’s take a quick look at your house now and see if you own a majority of the following old-people things. First off, do you wear cosy slippers at home? Do you relax in the bath with bath bombs? Are there knitting needles at home? Will one find a Tupperware collection in your kitchen? Do you have a set of herbal teas? What about a wine decanter? Are there fruit magnets like these stuck on your refrigerator? Do you own at least one set of pearls? Do you plant herbs used for cooking at home? Do you own a food processor? How about a supply of Werther's Original candy? Do you also have a collection of cookbooks? Or a box of recipe cards? Do you kick back and enjoy scented candles? When guests come over, do you serve them biscuits from a tin? Will one find a stash of plastic bags like this in your cabinet? Do you own a cosy fluffy blanket? What about a roaster pan like this one? Has anyone ever gifted you a gift card to a bookstore? Is there a collection of glassware at home which belongs to you that nobody is allowed to touch? Finally, do you drink from a favorite mug? Are You An Old Person In A Young Person’s Body? Can We Guess The Decade You Were Born By Your Taste In Vintage Foods? 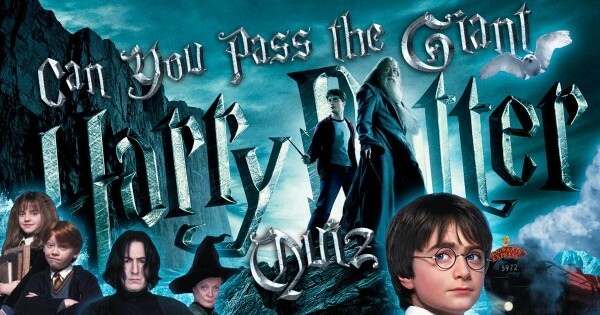 Can You Pass The Giant Harry Potter Quiz?